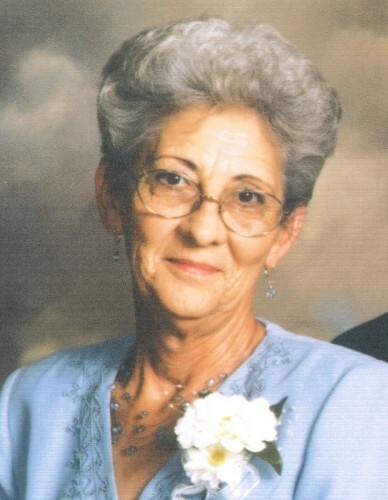 Linda Lois Waterfield, age 82 of Georgetown, Ohio died Friday, June 22, 2018 at Bethesda North Hospital in Montgomery, Ohio. She was a homemaker and a member of the Order of the Eastern Star. Mrs. Waterfield was born January 6, 1936 in Georgetown, Ohio the daughter of the late Charles Kenneth and Minnie Francis (Barlow) Schadle. She was also preceded in death by two brothers – Jerry and Leon Schadle and one sister – Nancy Germann. Mrs. Waterfield is survived by her husband of sixty-four years – Richard Waterfield whom she married June 4, 1954; three children – Tish Jones and husband Kevin, Ritchie Waterfield and wife Sheila and Randy Waterfield and wife Sue all of Georgetown, Ohio; many grandchildren and great grandchildren; two brothers – Dennis Schadle and wife Judy of Cincinnati, Ohio and Dean Schadle and wife Linda of Chillicothe, Ohio and nieces and nephews. Funeral services will be held at 2:00 P.M. Tuesday, June 26, 2018 at the Cahall Funeral Home in Georgetown, Ohio. Visitation will be from 12:00 P.M. – 2:00 P.M. Tuesday at the funeral home. Interment will be in the Shinkles Ridge Cemetery near Georgetown, Ohio.